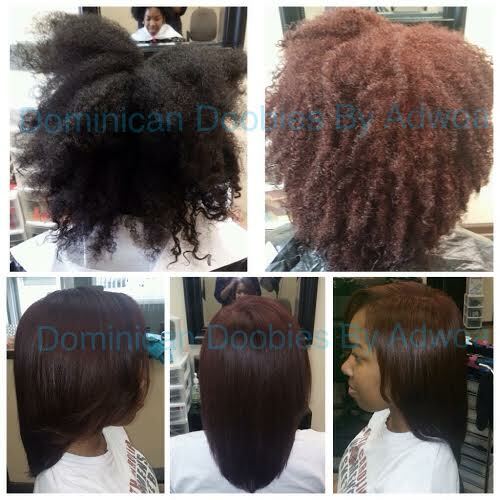 dominican natural hair care salon that does color. 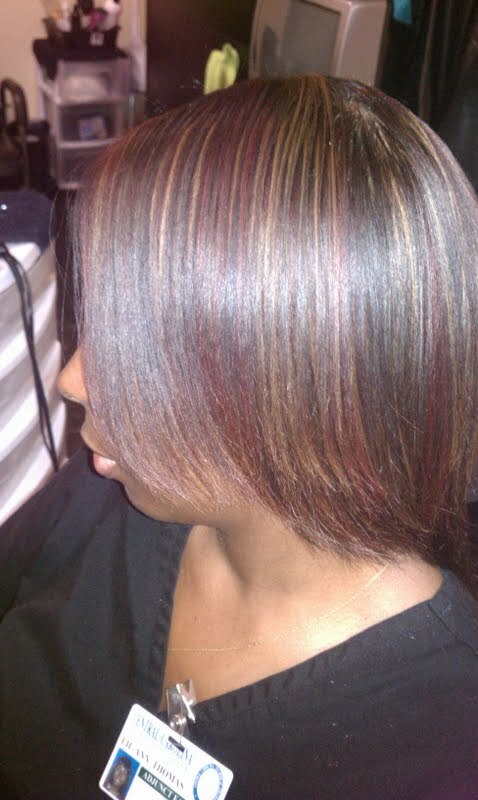 No Bleach was used to achieve this. Purple Hair Color. I did mix a capful of beach into the color to achieve the desired look. 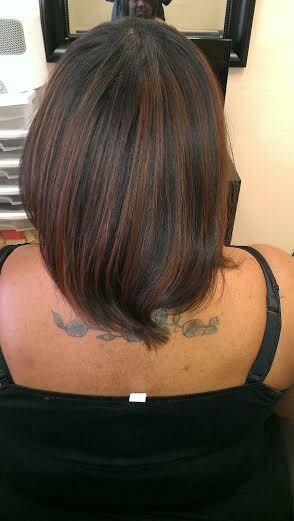 The client had gray hair on the sides and top of her head. No Bleach was used to achieve this. 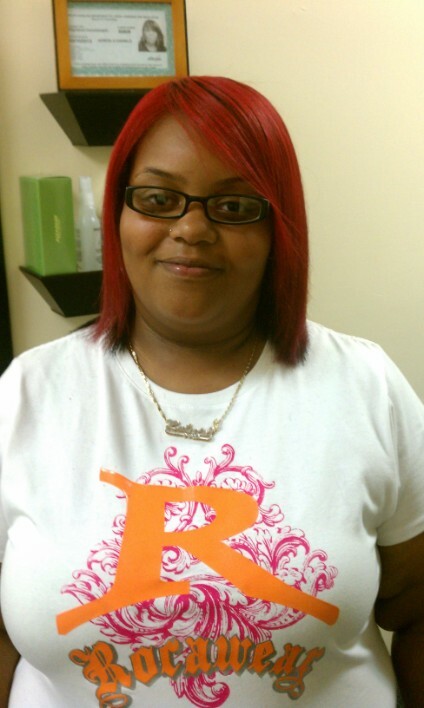 This is a Unique Color I created for my client. No Bleach was used to achieve this. 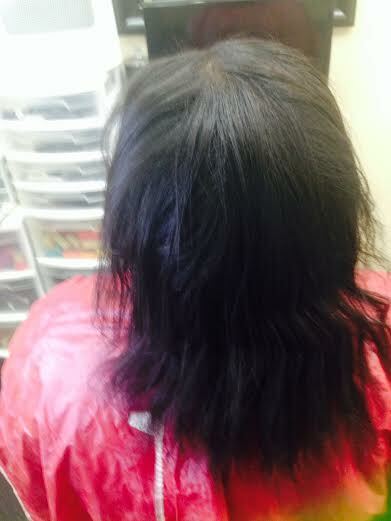 Before pic,she has old color and highlights that I did on her last year, her highlights were done WITHOUT BLEACH. 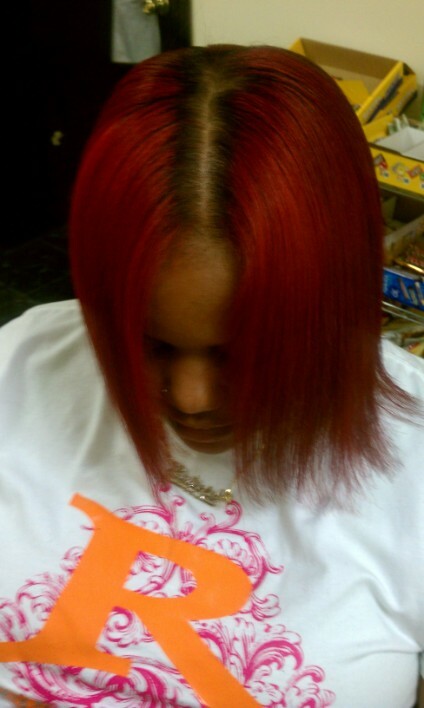 After Foil Highlights Special Design. 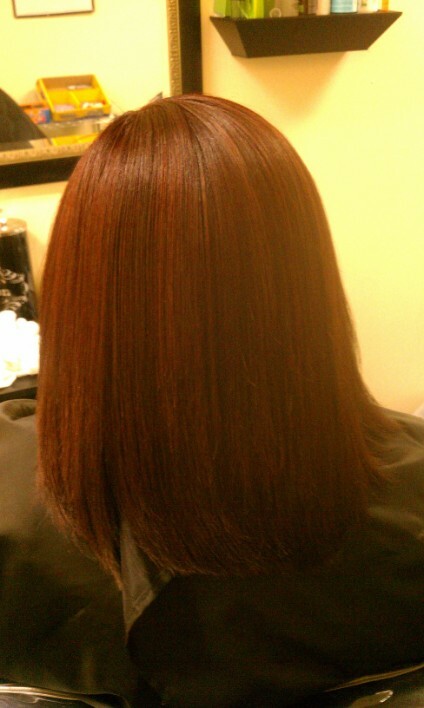 This color was achieved without using Bleach. 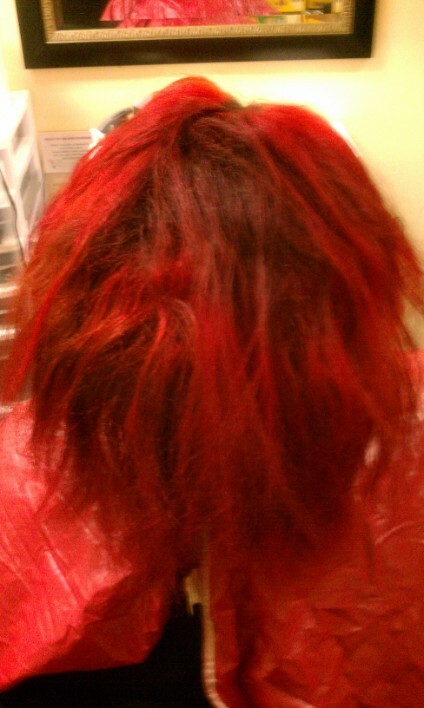 And this is her finished look AND NO I DID NOT HAVE TO BLEACH HER HAIR TO ACHEIVE THIS! 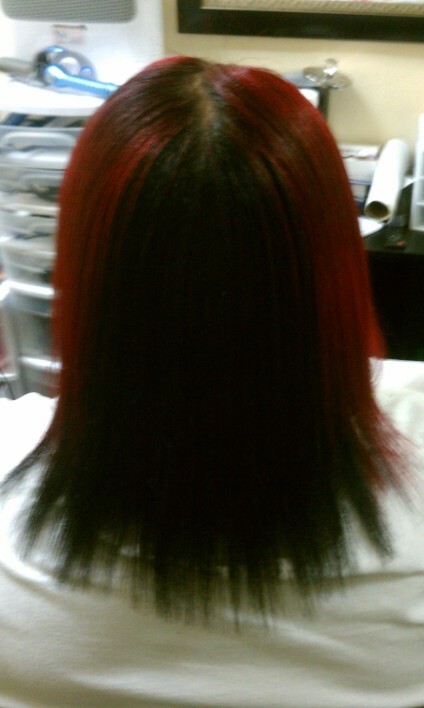 And yes this is all of her hair no weave was added! 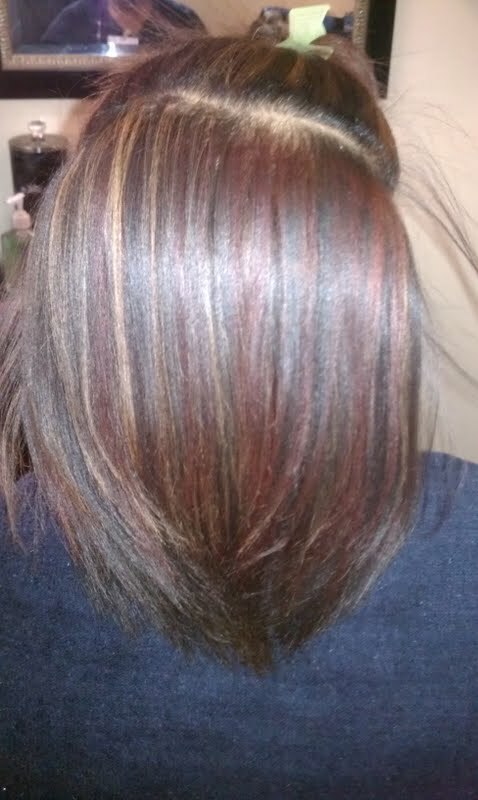 This is my clients hair she wants red and gold highlights,also notice how straight her hair is,I did a keratin treatment on her back in April of this year,also shes all natural. 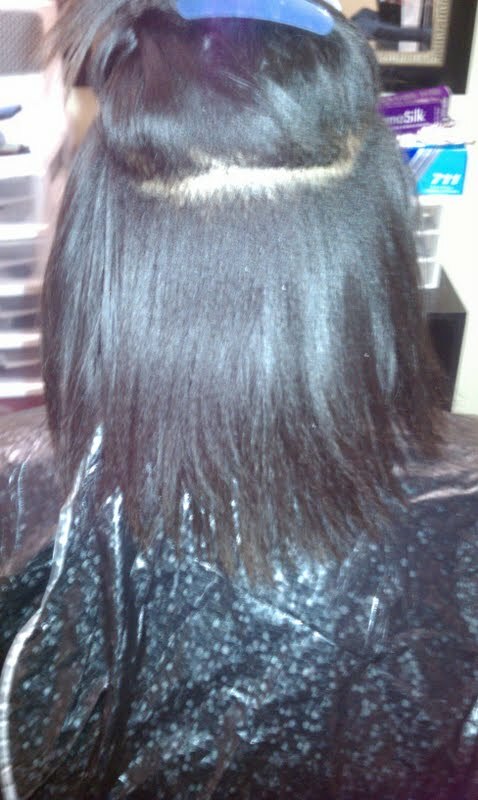 And this is the finished look, notice how evenly placed her highlights are. 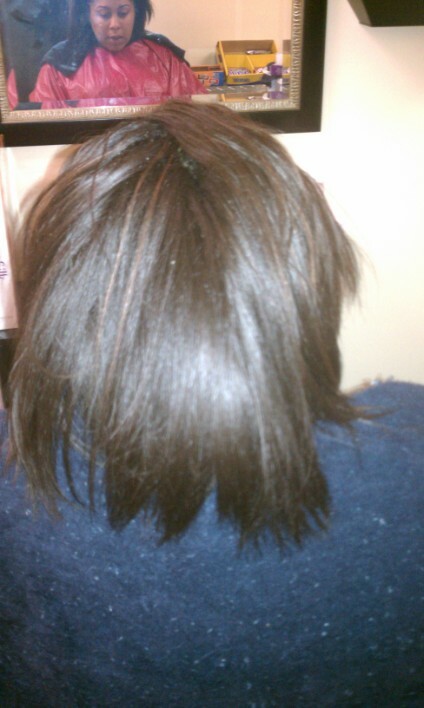 This is a before pic. of my niece shes colored her hair herself at home using a box color which included bleach.Will you take a look at those roots and the gold color uuuuuuuuuuh Auntie to the rescue lol. Psst. I have to do some corrective color and some reconstruction treatments so my niece will still have hair on her hair next week lol. 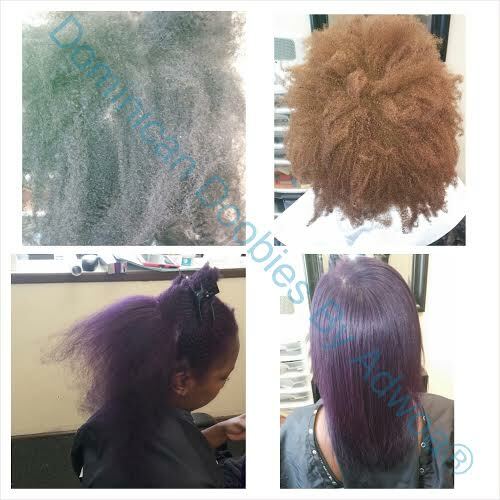 Please stop coloring and bleaching your hair at home BLEACH CAN BE VERY DAMAGING TO YOUR HAIR ESPECIALLY IF IT HAS BEEN CHEMICALLY TREATED BEFORE! OK I"M THROUGH VENTING ON TO THE NEXT PIC. This is the before pic. 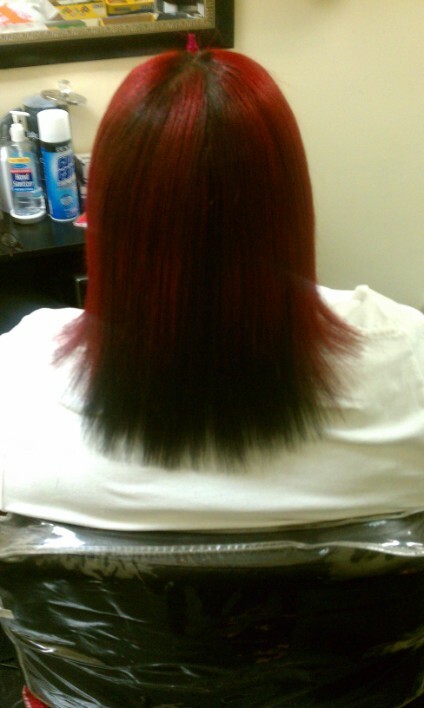 of the back, I'm going to fix her roots even out her red color tones and I'm going to color half the back black. 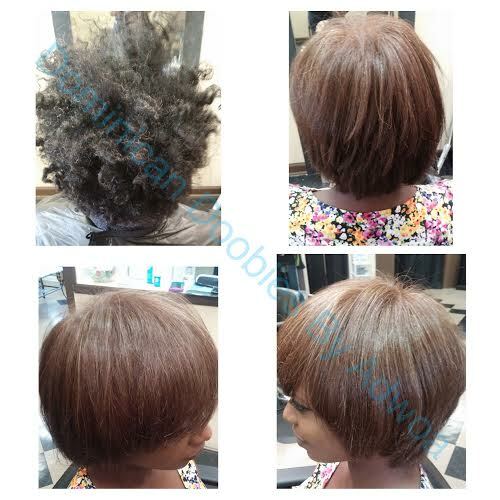 This is the finished look I combed the front of her hair to the sides so you can see the black in the back.Her hair also looks longer because she has some newgrowth so gave her a blowout after I colored and did the treatments on her. Its actually time for me to give her another keratin treatment, its been about 4 months since her last one,but she has to wait about two weeks because she just got color.Psst the before and after pic. 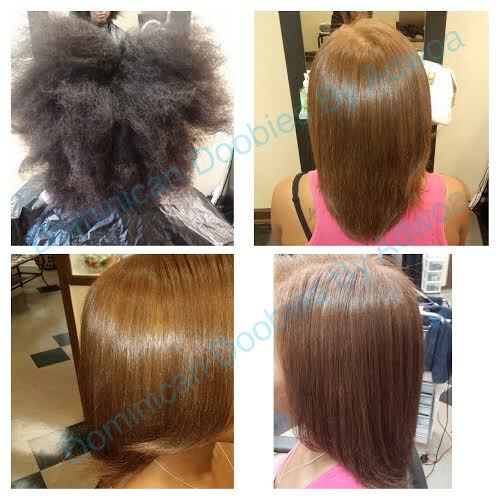 of her keratin treatment are on the keratin pics page. 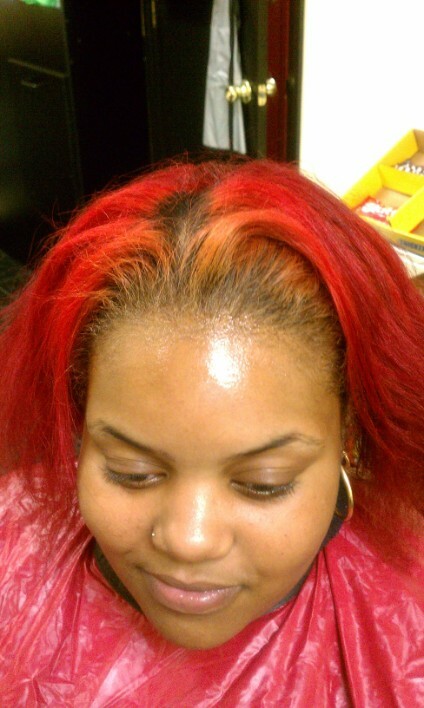 Her roots look much better now and she still has the two tone look she was trying to achieve.